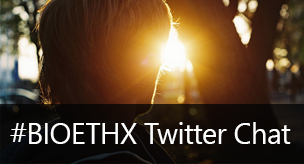 We have been asked to co-host the BioethxChat tonight on Twitter ( #bioethx ), June 2nd at 8:30 pm (EST), to discuss Individualized Medicine and Ethics. The BioethxChat is run by @jchevinsky, to reach an interdisciplinary group of students, professionals, and members of the general public. Live chats are hosted every Monday at 8:30 pm (EST).